I believe my background in the Information Technology (IT) industry has helped me settled into my current role at Rentwise smoothly. I’ve always had an affinity to all things “technology”. However, I recognize that IT is so much more than just gadgets and machines. So it comes as no surprise that I’m taking the opportunity to soak up as much experience and enjoy every moment of it at Rentwise. As an Asset Recovery & Remarketing Executive in the Supply Chain department, my job is to package and sell all excess inventory including End-of-Lease (EOL) equipment returns to the market. This equipment either having completed its rental duration or is excess equipment due to an unplanned change in requirements is fully refurbished before being resold to the consumer market. It’s a very different sales approach compared to other conventional Sales Reps of Rentwise, as I need to work more with dealers and end consumers. To do this, my specialised job requires me to focus on building remarketing channels. What are the channels available to reach out to consumers out there and how best to sell to prospective clients to meet their needs? I answer that question every day. I need to identify various channels of sales. This can be done through above or below the line marketing efforts, either through print, online, direct mailers, tele–marketing and such. I find this aspect of my job very interesting. My role requires me to collaborate closely with the internal operational teams; Warehouse Management, Logistics and Production. That’s where the action happens to mix and stir all the necessary ingredients in a large cauldron to produce good working condition and high quality refurbished desktops and laptops that Rentwise is known for. Upon receipt, all IT equipment is subject to stringent procedures of testing, refurbishment, and QA, before being deemed worthy of re-sale. My assurance to my customers is only as good as the quality of products promised. As a very hands-on person, I run through every batch order and check to ensure their good working condition before making the delivery to customers. To accomplish this is no easy feat as I need to co-ordinate and work closely with colleagues from many different departments. I also manage our asset disposal activities. Equipment that has surpassed its useable shelf life is disposed to companies specialised in recycling IT waste; not just any company, but those with a valid certification issued by Department of Environment (DOE). In line with Rentwise’s “Green IT” initiatives, this equipment is ethically disposed of in compliance with the E & E waste directives. The project I’m currently working on is to set up various online trading portals. This is something totally new to us. There is much to be done in terms of researching the viability and identifying the right online channels for sale. As we also have something different to offer (Rentwise only deals in business class equipment), I need to also look into market positioning. I’m very excited over this new responsibility and eager to explore and make notable achievements in this area. That’s what I find truly enriching in my work. Despite having only worked at Rentwise for about 8 months, it feels I’ve been here for eternity! The people are warm and friendly. The working environment is never dull and it’s never too difficult to get motivated. I look forward to hanging out with colleagues after working hours and going for drinks just to chill out. We are just like one big happy family sharing all the laughter and funny moments at work and life. I certainly enjoy the numerous learning opportunities that present themselves every day. There is so much to learn about the business. 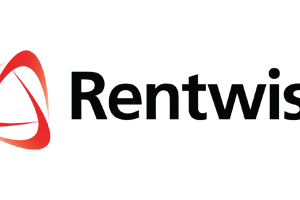 I hope that in the future, I’ll be able to attain a managerial position at Rentwise. This would mean a lot to me not just in terms of recognition leading to career growth, but it’s a personal affirmation that I can do much more than just sales. It will testify to my ability to being able to push myself beyond my limits. My ultimate goal would be in training where I could engage and build talents in sales and focus on developing the market locally and internationally. That’s an achievable milestone! Having a good number of years of experience in sales has allowed me to integrate and communicate with people easily. Those are the unique skill sets I find crucial in enabling me to better perform my duties. Additionally, my background in the IT industry has groomed me to constantly keep abreast of the latest in technology. This initiative and knowledge has allowed me to easily promote and explain our products to both dealers and consumers alike. Most end users may not be able to match the required products to their needs accordingly. For basic internet surfing and word processing, they do not really need a powerful machine. That’s where I’m able to guide them towards the most suitable product that matches their needs and budget. To keep myself fit and energised, I play badminton with my friends 1-2 times a week. I also often make my rounds at shopping malls and PC Fairs to take a look at what’s new in the gadget and tech scene, just to keep myself updated. I suppose that form of window shopping qualifies to be a sport in its own right! Most importantly, it helps me unwind.